At ninety-one years old, Ptolemy Grey is one of the world’s forgotten: by his family, by his friends, by even himself. Marooned in a cluttered Los Angeles apartment overflowing with mementos from his past, Ptolemy sinks deeper into lonely dementia and into a past that’s best left buried. He’s determined to pass the rest of his days with only his memories for company. Until, at his grandnephew’s funeral, he meets Robyn and experiences a seismic shift, in his head, his heart, and his life. Seventeen and without a family of her own, Robyn is unlike anyone Ptolemy has ever known. She and Ptolemy form an unexpected bond that reinvigorates his world. Robyn will not tolerate the way he has allowed himself to live, skulking in and out of awareness barely long enough to cash his small pension checks, living in fear of his neighbors and the memories that threaten to swallow him. With Robyn’s help, Ptolemy moves from isolation back into the brightness of friendship and desire. But Robyn’s challenges also push Ptolemy to make a life-changing decision that will affect both of them: to recapture the clarity and vigor of his fading mind and unlock the secrets he has carried for decades. Already an acclaimed and beloved literary voice, Walter Mosley charts new territory in the exploration of the complex tensions at the heart of race in America. 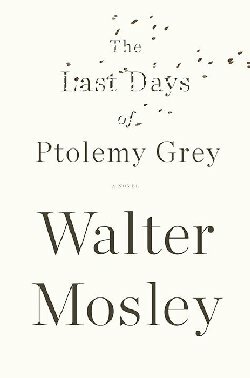 A novel that explores the generosity of love, the influence of memory, and our human desire for connection, The Last Days of Ptolemy Grey is a contemporary classic.